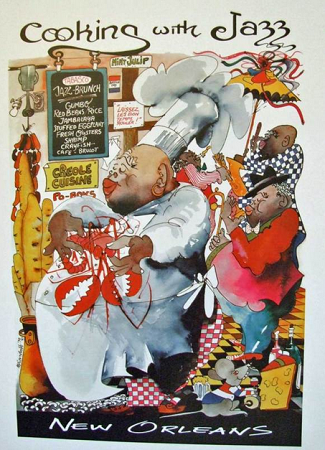 Cooking with Jazz Print by Meiersdorff 13x16"
Home > New Orleans Gifts > Cooking with Jazz Print by Meiersdorff 13x16"
This is a print by New Orleans artist Leo Meiersdorff. It feauteres many unique New Orleans traditions all wrapped up in one! 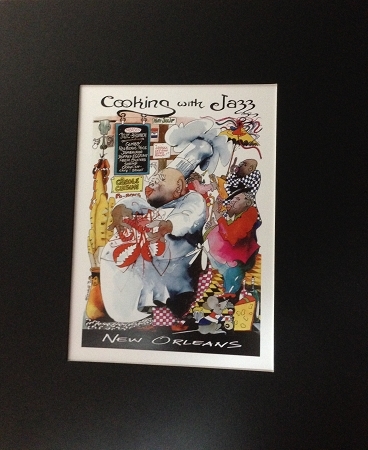 This is a 13x16" black matted print. If you take the matte off the print is a 9x11.5".